This is the first time I eat at Long Beach cafe, Batu Feringghi. It is a tourist spot so locals like us normally won’t go there unless we are already in the neighbourhood. We went to Batu Feringghi last Friday because the sons wanted to buy some funny t-shirts. It was during dinner time and Long Beach looks busy. It is nearby Golden Sands Hotel and bustling with foreign tourists. Shall I say smart foreign tourists? Because they only need to pay a fraction of the price for the foods and get a much tastier and original versions from these hawkers at Long Beach hawker centre. 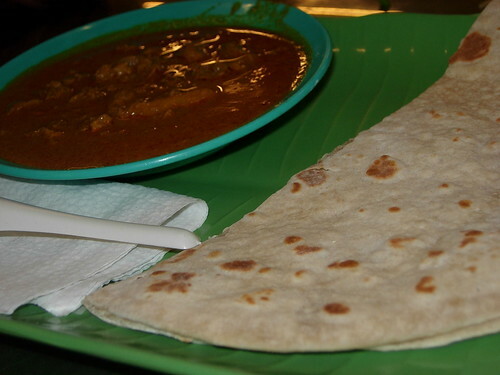 Capati and mutton curry. The mutton curry is nice. I saw lots of foreign tourists eating capati with dhall curries. I ordered Hokkien Mee and was surprised that it is good. I didn’t expect tourist spots to produce good hawker foods but the Hokkien mee is really nice. 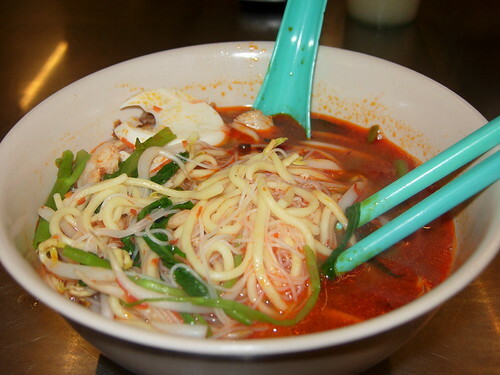 The soup is piping hot and the stock has lots of prawn flavour in it. 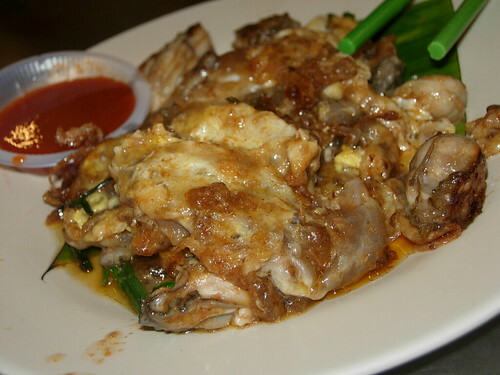 Worth mentioning is the orh chien. RM5 and though quite a small plate, it has quite a few oysters. Nicely flavoured but a bit oily. 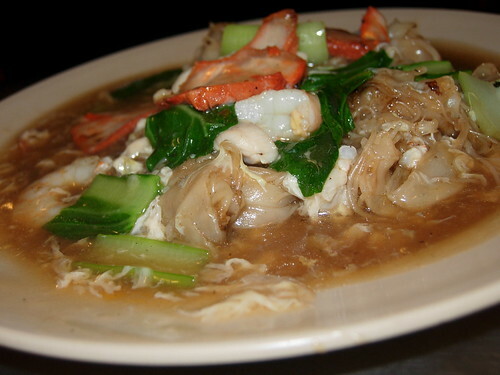 Char hor fun. Not sure if it is nice ‘cos my hubby had it. Overall, I would recommend tourists to head over to Long Beach Cafe for some Penang hawker foods if you are stuck up there in Batu Feringghi without transport. Price wise, the foods are more costly but it is to be expected from tourist spots. If you have transport, you can get nicer foods in town at cheaper price, of course. You may want to check out VKeong post on Long Beach Cafe too. After dinner, we played tourists and strolled along the stretch of night markets and bought some funny t-shirts and souvenirs. Remember to bargain with those stalls. They quoted the price of the t-shirt at RM25 but hubby managed to get it for only RM15 per tee. I saw some really cute piggies shape salt and pepper shakers which are so adorable. Also check out those lamp shades there. When I couldn’t get out of my island for a holiday elsewhere, being tourist in my own island is quite fun too. Thanks for the link! If you ever go back here again I recommend you to try the pizza, it’s quite good too!